Croatia is fast becoming known for its incredible truffles, which rival the prized Italian specimens yet are available year-round. Here’s everything you need to know about these incredible fungi which, until relatively recently, have been a well-kept secret. Of all the millions of ingredients in the world, none seem to evoke more passion and emotion than the truffle. A fungus at heart, it is essentially a type of wild mushroom that grows underground on the roots of beech, birch, hazel, hornbeam, oak, pine and poplar trees. They’re expensive to buy due to their rarity and the amount of work it takes to find them (truffle hunters will almost always work with dogs who can sniff out truffles buried beneath the ground), but the aroma and flavour of a good truffle is well worth the effort. There are several different types of truffle, the most prized of which is the white truffle (Tuber Magnatum Pico) as it has a more powerful smell and taste ­– but the varieties of black truffle found at various times of the year are always in high demand too. We tend to associate truffles with Italian cooking, as that’s where the majority come from – particularly Alba in Piedmont, known for its large white truffles. However, 600 kilometres east of Alba there is a region becoming just as famous for its truffle bounty as Italy. The Istrian peninsula in Croatia is making a name for itself as a producer of the highest quality white truffles which are just as good (if not better) than those grown in Italy – although this is something an Italian would rarely admit! Istria has a burgeoning reputation as a gastronomic paradise. The pine and cedar forests of the Istrian hinterlands are home to beautiful vineyards and olive groves, producing some of the world's best wines and olive oils. 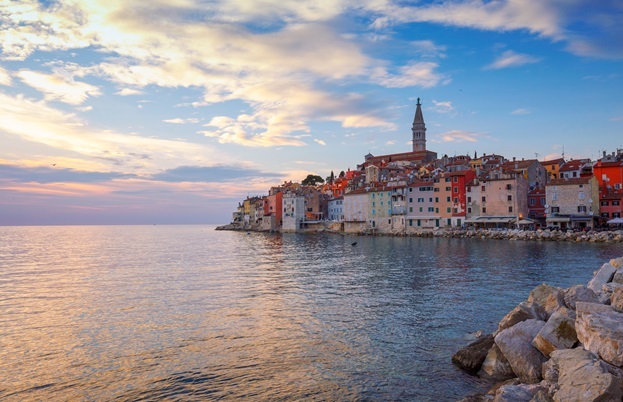 Follow the peaks and valleys down towards the Adriatic coast, and you'll find incredible seafood, glistening beaches, and the fishing town of Rovinj, which boasts Croatia's very first Michelin-starred restaurant. And that's before we even mention the incredible truffles the region produces each year. The first mention of Istrian truffles seems to date back to the 1940s, but it’s always been something that’s been kept under wraps until the past few decades (presumably the locals were more than happy to keep the truffles for themselves). Italians would sometimes come over to buy the more impressive white truffle hauls, although they would then usually be sold as Alba truffles with no traceability to their actual source of origin. That all changed in 1999, when Giancarlo Zigante (who now is Croatia’s largest truffle exporter) and his dog Diana found a white truffle weighing an incredible 1.3 kilograms, winning a Guinness World Record in the process. Rather than selling the truffle and making a quick buck, Giancarlo decided to use his giant truffle to generate publicity about Istria’s hidden gems. He turned the whole truffle into an enormous meal for Istrian locals, the international press and Croatian dignitaries. 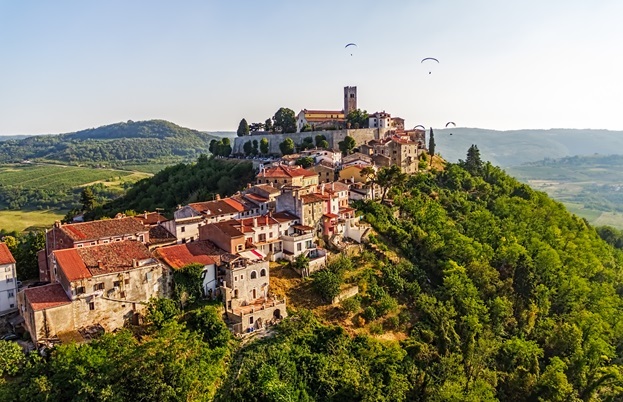 This helped put Istria firmly on the map as a truffle hotspot, and soon enough truffle hunting excursions and truffle hunting holidays began to attract plenty of tourism to the area. 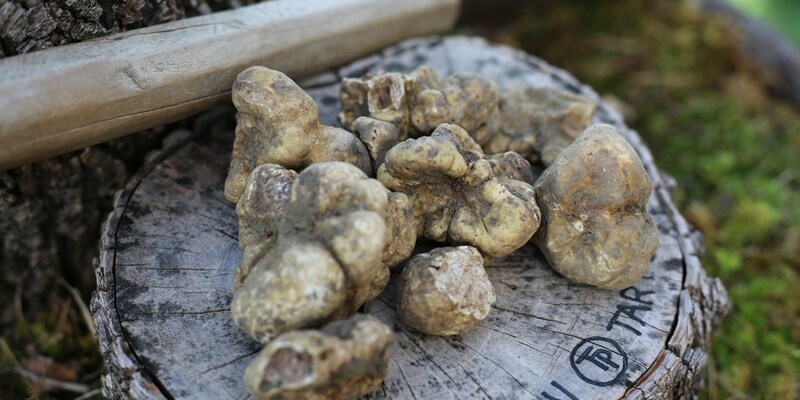 As well as the highly prized white truffle, Istria is home to several different varieties of black truffle, all of which are some of the finest examples of the fungus in all of Europe. 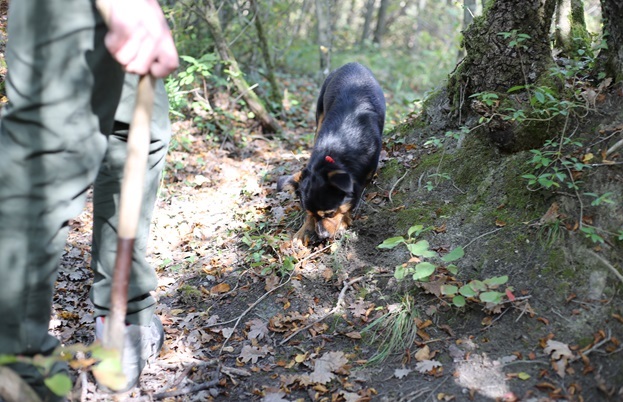 The season for white truffle hunting is between September and December, but you can go black truffle hunting in the verdant forests of Istria all year round, particularly in the beautiful Motovun Forest – one of the few indigenous, protected forests left in the Mediterranean. 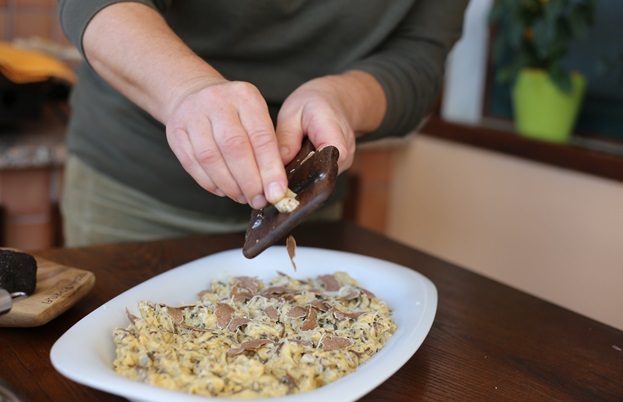 You’ll find truffles used in all sorts of recipes, and many shops will sell oil, honey, mustard and even chocolate infused with the fungus, but most Croatians will agree that the simplest ways of serving truffle are the best. Grated over pasta (particularly the Istrian variety fuži), shaved over scrambled eggs or smothered over steak is some of the most common ways you’ll find the fungus served in Croatia. There’s even a restaurant named after the famous truffle hunter Giancarlo Zigante in Istria which specialises in everything truffle (called Restaurant Zigante in Livade). Istria's newfound reputation for truffles is just another example of how Croatia is quickly becoming one of Europe’s most talked about culinary destinations, managing to give Alba a run for its money when it comes to being known as the truffle capital of the world. Whether you’re a truffle fiend who can’t get enough of these incredibly pungent fungi or have never experienced the taste of a freshly dug-up truffle before, Istria should certainly be on your list of places to visit.